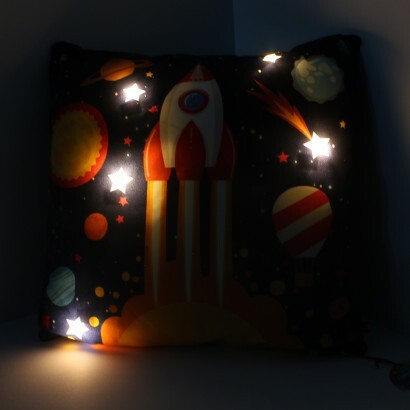 A snuggly plush cushion to trim beds and chairs, this incredibly soft rocket cushion is packed with LEDs that shine through the stars in it's brightly coloured background galaxy adding sparkle and a reassuring glow. 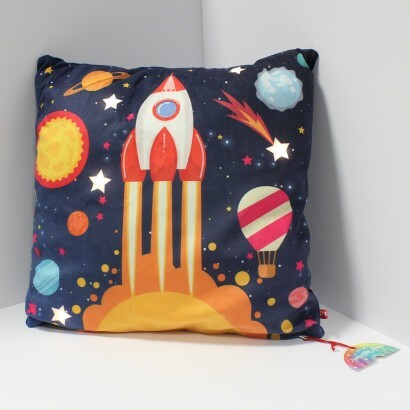 Battery operated, this high quality cushion is as soft as it is colourful making it perfect for cuddling up to at night and can be used as a subtle night light to give comfort to smaller kids a night. 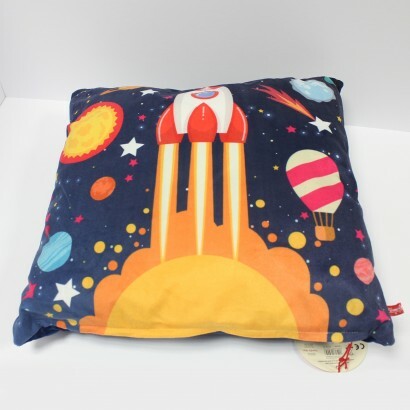 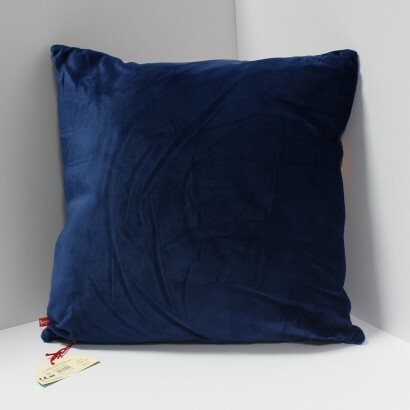 At 40cm x 40cm, this space themed cushion is a good size for support and it's so tactile that it's perfect for placing on beds and more for extra cosy nights.